This is an essay about grief, about disability, ableism, what disability means, and what I think the root of grief related to disability stems from. If you would rather download it to read as a pdf, please do! It’s linked here. Grief pertaining to disability has been on my mind lately. That is, the grief that a person might feel as they transition from being an abled person to having this alter-abled experience of disability. Or the grief that a parent feels when they learn that their child has a disability, or any similar types of grief that wrap around a person’s experience. This grief is tied to our belief systems, prejudices and experience relating to disability. I believe we are spiritual beings having a physical experience. “The Little Soul and the Sun” is as close to explaining my own belief system with regard to us being spiritual beings having a physical experience as ever I’ve found. In it, a little soul is wants to experience the physical life and learn how to forgive. Another little soul volunteers (out of love for this little soul) to also be born, and to provide opportunities for the the little soul to learn forgiveness. I believe that this makes a lot of sense – it makes sense to me that we choose to be born and the whole point of our life is to experience this world. I believe that we come from Source (or God), and we return to Source and that part of the experience in this world is to be as aligned with Source as we can possibly be. Our physical bodies were always transitory, and always something that would provide us with the means by which we explore and experience our world. They never were permanent, so it’s true that they are both necessary (- for experiencing a physical, atom-based) reality, but they are also unnecessary (- because we will leave them in the end, we won’t use them forever). With disability – or an alter-abled experience – we navigate the world from unique physical perspectives, which adds a layer to how we perceive, process and experience our physical world. Some of us are born with disabilities and we navigate this physical experience of ours with them. And some of us are born to be connected to people who are experiencing the world from this alter-abled perspective. Some of us are mothers, fathers, sisters, brothers, friends, lovers or others to those who are in this alter-abled experience, and there is something in that that is powerful, and miraculous. We have who we have in our lives for a reason (and this goes both ways, for those of us who have disabilities and for those who don’t yet have them). Figuring out that reason changes everything, spinning us out of a loop of victimhood and into one of understanding. It becomes clear that, just as in the Little Soul and the Sun, this person is helping us learn how to forgive (or whatever else it is that we are leaning to learning from that person). In thinking about grief, I think about how differently I feel about my own disabilities. I am deaf, and I have C-PTSD and TBI (Traumatic Brain Injury). I feel at this point, having lived most of my life with 3 very different disabilities, that there are more than one genre of disability, more than one type of this alter-abled experience. There is my being deaf. I would not change this if I could, because I feel that this is part of who I am as a person. I have been deaf for so long that it unquestionably and profoundly affects how I navigate this physical world. The experience of this is precious and priceless for me: I love the gift of silence. I love being so in tune with people’s non verbal language. I love that my ability to understand situations is not so wound around the auditory. I feel freer and stronger because I am deaf. Now, I do not feel the same way about my Traumatic Brain Injury (TBI) or my Chronic Post Traumatic Stress Disorder (C-PTSD). I feel like that type of disability, similar to many chronic illnesses, are warnings that our spiritual selves give our physical bodies about the toxicity of the physical world that we are creating. These illnesses do not have the same feeling to me as being deaf does. They feel as if they are born from trauma, pain; that they would not exist if we lived in a world that valued clean food, air, water, children, family; that sought to make us whole with our communities and care. 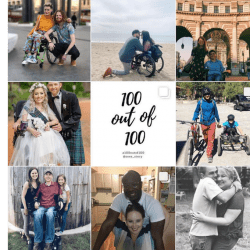 “That” being the difference that I feel in disabilities. It feels like some disabilities are an intrinsic part of who we are, what we bring to the world and how we experience it. And other disabilities feel like wounds that are signs that our world is off track, and we will be healed from those when we are back on a course that is aligned with Source. We humans have evolved in different ways. Some cultures have evolved to value particular altered experiences (- disabilities), and others have evolved to squash those very same altered experiences. The Spirit Catches You and You Fall Down was a wonderful example of that. In it, a Hmong child (whose family was from the highlands of Vietnam) has epilepsy. Epilepsy is valued by the Hmong – it’s regarded as being some of the Spirits, and Shamans were often epileptic. This family, immigrants in Central California, clashed with Western medicine who wanted to treat the child’s seizures but the family was having none of the “treating” for something that didn’t see as broken to begin with. Rather, epilepsy was a gift from the Spirits. The presence of a disability in a community can be a gift to some cultures, a lodestone to others. When a community sees all people as having value, the presence of an altered experience creates a dynamic of learning, an opportunity for an expansion of awareness, an opportunity see and do things in a different way, a way that would not have been found had it not been for the disability; a way that always benefits everyone (with or without the disability). Obvious examples of this are curb cuts, captions, the telephone, the typewriter (- which includes keyboard systems), and audio books. This is just the tip of the iceberg. There are many more aspects of our daily physical lives that were expressly invented because of disability. Many parents say they grieve the diagnosis of a disability with their child because they grieve the loss of dreams. They think they won’t be able to do something they always thought they’d do with their child, because their child having that disability would preclude the ability to do that something. This is connected to being fundamentally disconnected from people who experience the world the same as one’s child will. In other words, it’s connected to not really knowing people with the disability that your child has. I know for myself, I did not have one friend with an intellectual disability, I knew no one who had Down syndrome. 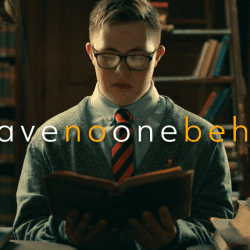 I only passed people with Down syndrome in the street, and I made a lot of judgements about what they were and were not capable of, based on how I interpreted their physical actions on that particular moment in time. I know for certain now that had I had friends with Down syndrome, I would not have grieved the loss of a dream. Had I had friends with Down syndrome, I would have known that my baby would grow to be a person as complex, bright, sparkling and beautiful as any. If I had had friends with Down syndrome, I would have known that Down syndrome would gift her (as my deafness has me) with an amazing platform from which to experience this marvelous world. I’m talking a lot about parents here, because a lot of parents of people with disabilities read my blog, but this idea applies to anyone. Most of us are actually chock-full of prejudice and suppositions based on living in an ableist culture that sees no value in the presence of disability. And we need to resolve our own ableism in order to heal grief. Even as a person with disabilities, I had (and likely still have) internalized ableism in me. I mean, my parents had wonderful intentions but they were brought up firmly in the Western world. They themselves were taught that having a disability was something to be pitied and avoided. My deafness was something to be overcome. I learned that I should try to “pass” as non-disabled and simply internalize the trauma and the struggle that it was for me. Grief was bubbling in me, brimming to the surface at all times. 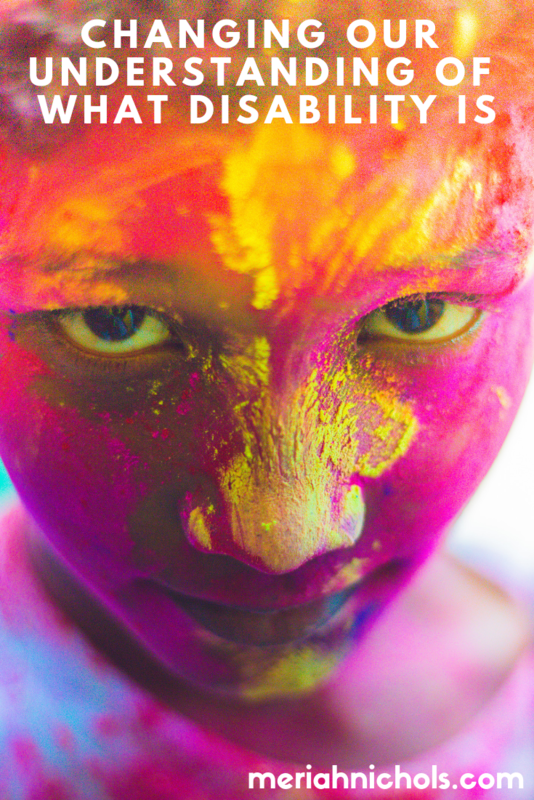 It was only when I came into an arena that was full of proud, successful people with a wide variety of altered experiences – disabilities – that I woke up to my own wholeness, and with that, the wrongness of our Western culture. Healing our own ableism is one element in the grief dynamic, but I think that what people lose most – and talk about the least – is the ability to continue operating as a silent player in an ableist world. When I found that my daughter would be coming with Down syndrome, I was already exhausted from so much walking against the employment and ableism hill. I wanted to rest and have things come easy for a while. No part of me grieves my daughter’s extra chromosome. I love her exactly as she is, and I think she is who she is supposed to be. What I do grieve, though, is the ableism that exists in the world that squashes her and tries to tell her – as it once told me – that she isn’t “right” the way she is. I grieve that people look at her with pity at times, I grieve that we need to fight a system that does not value all people. I grieve that other parents confuse their grief at ableism and a warped culture with grief over the presence of disability in their child. I grieve that we still can’t seem to recognize that the most powerful thing about humans has always been our spirit, and that is absolutely unchanged with disability. If anything, a spirit is only sharpened with disability, because an alter abled experience (such as one that disability provides) forces a person to repeatedly, consistently learn and grow in ways that are often highly challenging. 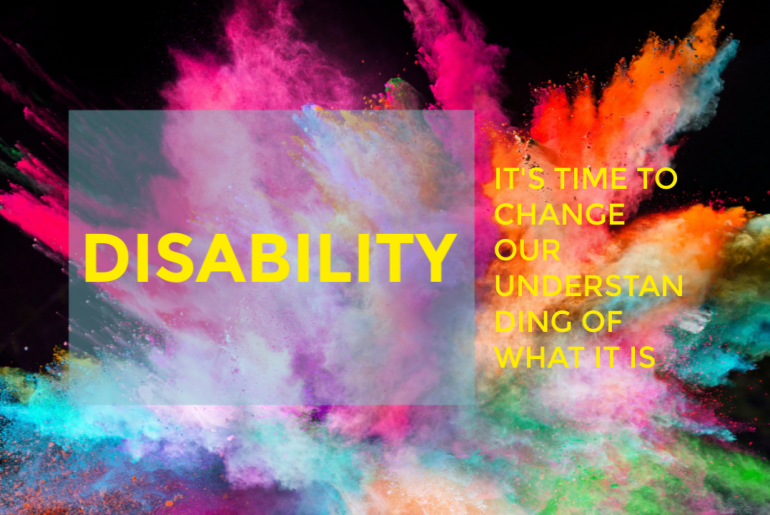 It’s time for us to change our understanding of what disability is. 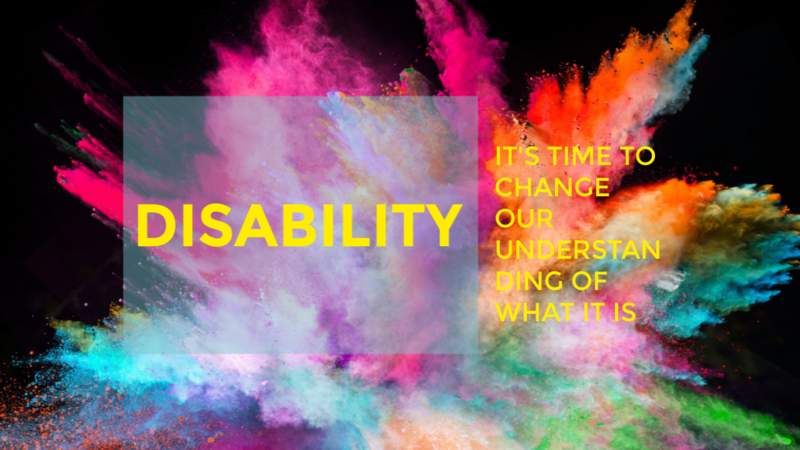 It’s time to understand that disability is a way of experiencing the world. It’s time to understand that there are some types of disabilities that need healing; others do not. It’s time to understand that those of us with alter-abled experiences are necessary members of the human family – we bring perspectives, experience, wisdom and everything else that comes from being alive in this here and now. It’s time to understand that in the understanding of this, you are helping yourself, because sooner or later, you will acquire a disability (if you haven’t already) or your loved one will and you will want a place at the table too. It’s time to look at people, and rather than trying to determine how to reconfigure them to fit in a broken world, it’s time to fix the broken world. Why “Come Out” As Disabled (If You Can “Pass” As Non-Disabled)? What a really thought-provoking essay. Thank you! In a very strange coincidence, before reading this (and your other posts) I started writing the beginnings of a novel that follows a young woman who is losing her hearing. In the parts I’m now writing, she is definitely grieving, and you’ve captured this inclination of ableism in your post. Of course, my character doesn’t yet know that the best is to come–and what she loses will only help her grow in herself and in the relationships with those around her. It’s early days with this novel, so far, but down the road, I’d be so honored if you might weigh in on a scene or two. I’d love your perspective!